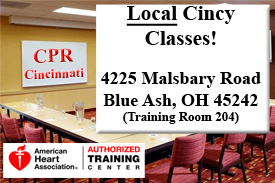 Thank you for choosing CPR Cincinnati for your ACLS and BLS Certifications. The American Heart Association requires that every student has the 2016 or later edition of the AHA Basic Life Support book AND the 2016 or later edition of the Advanced Cardiac Life Support book at the time of class. If you didn’t order books with us, make sure you bring them to class. If you arrive to class without the required books, you can purchase them before class begins in order to participate in the class. 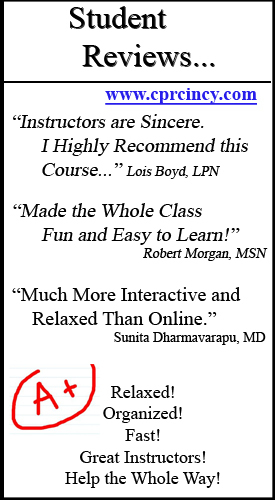 Your instructor can assist you with this on the day of class. If you ordered books with us, they will be shipped as long as there is sufficient time before your class date. 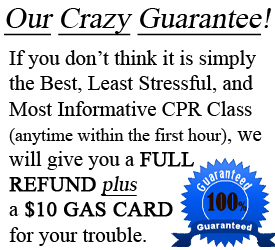 If there is not sufficient time for shipping, they will be waiting for you at time of class. You can also call our office to arrange a time to pick up the books, if there is not enough time for shipping. 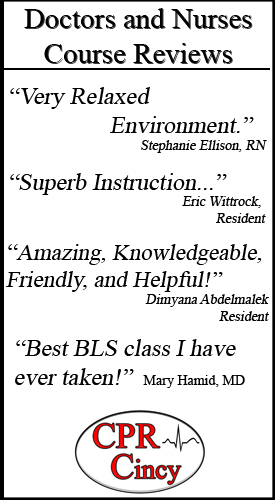 Your ACLS-BLS Class will last around 7 hours. 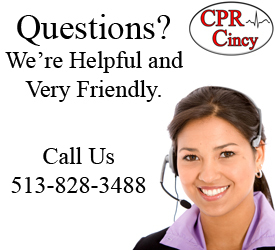 Please bring the printed ACLS pre-test, and the required books (see above).